This September Dr. Zoolittle takes you to a Jurassic Adventure! 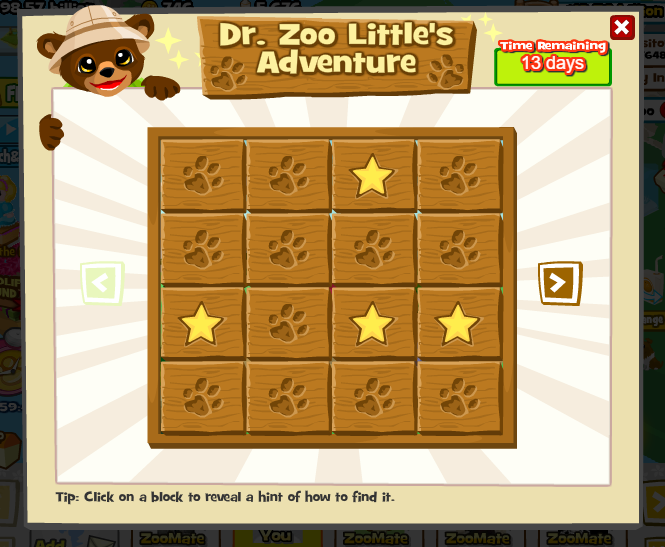 Hop into this journey and help Dr. Zoolittle find clues and bring his friends to your zoo! Cryptic Clue Blocks require a set objective which must be completed. Hold your horses, you can only unlock 3 blocks a day to watch it unfold with time! This entry was posted in adventure and tagged adventure, New Animals, Zoo World. Bookmark the permalink.